Cost performance is good. It is not the same color as other companies' products. This review is about item#02784826. I will use it as a standing. It is saved, since it is currently hard to enter the market, I would appreciate your continued support. This review is about item#02784835. This review is about item#2784835. 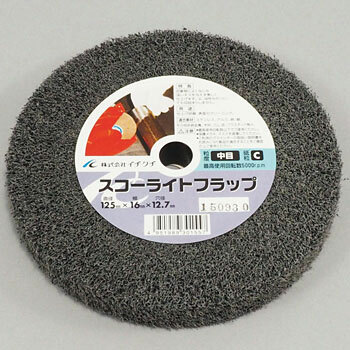 I did not have enough knowledge of the product, so I bought it with an image of a wire brush It was different from what I thought. I will keep it in stock for the time being. This review is about item#2784774. Although the finished state of the polished surface is good, I think that it is better to wear pads faster, better up the pad hardness a little. Big grinding at the left and right two pieces of the head grinding, it works great with buffing, prefering to use silica carbide better than alumina Buff works well, branch cutting pruning, flower scissors etc finished with this finishing Rasha Rabbit finishing is narrow Three grinders on silica Used buff polishing agent for hemp for mirrors, thank you for about 110 mm in length between 150 mm somewhat thank you for long lasting price is not cheap price is not ★ ★ ★ ★ is very satisfied I am indebted to you.